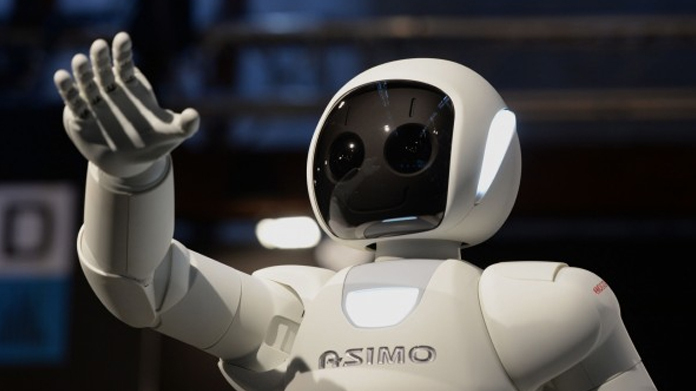 The latest generation of Honda’s humanoid robot ASIMO made its UK debut this week, appearing on stage at WIRED 2014 and WIRED: Next Generation in London’s docklands. It was in esteemed company too, sharing the war for attention at the high profile technology and innovation conference with the likes of British Royalty – HRH The Duke of York – and dope pop and rap star will.i.am. But with a little help from H&G, All-New ASIMO didn’t just wow the crowds with its latest capabilities, but secured a cracking haul of coverage for Honda (and the lovely folk at WIRED UK) too. Indeed, the team woke up on Saturday morning to cracking pieces in the likes of The Times, i, Independent, London Live, Sun Online, not to mention this belter on the Daily Mail. Earlier in the week we’d arranged a 15-minute interview slot on the Guardian’s popular Weekly Tech podcast as well, with Honda trailing the UK debut and explaining the technology and ambitions behind its humanoid robotics R&D. It was even a story we took international (we seem to have a knack of doing that! ), landing a prime time appearance on Japan’s top broadcaster, NHK; communicating the success of All-New ASIMO’s global tour to Honda engineers thousands of miles back home. Which was nice. A great piece of technology and another great piece of work by the H&G team, to boot.